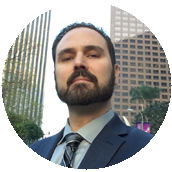 Published Author Me | Todd Olivas & Associates v3.0 | Court Reporting Services in Orange County, Riverside, San Bernardino, San Diego, Los Angeles, Irvine, Santa Ana, San Jose, Sacramento, Fresno, San Francisco, Bakersfield. TO&A employs no court reporters, interpreters or videographers of our own. The providers we send are fully qualified and reliable independent contractors. My article for The Legal Secretary magazine just came out this month: May, 2007. I'm very proud to serve the legal secretary community in this way. I love writing and I loved my topic: Marketing! Seems the membership base for LSI has been dwindling. I've come up with some practical tips for increasing their numbers. As a growing court reporting and interpreting company, much of my time is spent getting the word out on the street about us. I wouldn't say I'm an expert at marketing by any means. But, I do have a passion for the subject and I've come a long way baby!